Popcorn is a great snack. It can be sweet, salty or both! On a recent movie night we were craving a batch, but wanted something a bit more beyond the classic butter topping. After rummaging through the spice drawer we decided on a peppery mix. What a treat! 1. 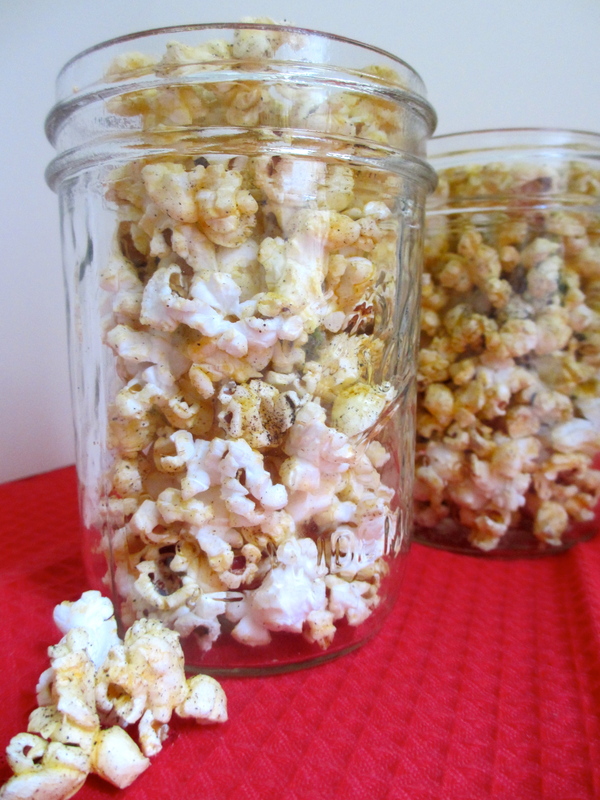 In a medium saucepan, combine the olive oil, paprika and popcorn kernels. Toss to coat, put a lid on and heat over medium. Every 15 seconds or so, move the pan in a circular motion, without removing it from the burner and without lifting the lid. Do this for 60 to 90 seconds or until you hear the popcorn begin to pop. Remove from heat as soon as you hear 3 or more seconds between each pop. 2. Immediately pour into a serving bowl and top with ground salt and pepper. Taste and add more of either of desired. SWWU Tip 1: This popcorn can burn very easily. Keep the heat at medium and be sure to remove the saucepan from heat as soon as the popping is complete.